Indianapolis, IN – An appeal is now pending of Judge Tanya Walton Pratt of the Southern District of Indiana‘s grant of a motion to dismiss in a qui tam patent false marking case. Intellectual property attorneys for David O’Neill, Promote Innovation LLC of Clarendon Hills, Illinois had filed a patent infringement lawsuit alleging that Roche Diagnostics of Indianapolis, Indiana, was marking its ACCU-CHEK® product packages with patents that were expired. The case was filed qui tam. 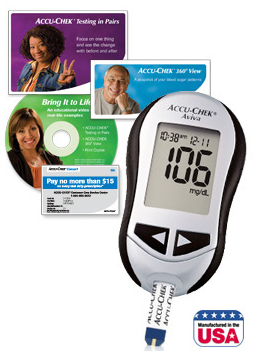 The ACCU-CHEK® product line is diabetes blood glucose monitoring kits. The following expired patents alleged to wrongfully appear on the packaging of various products: 4,891,319 Protection of proteins and the like, 4,924,879 Blood lancet device and 4,999,582 Biosensor electrode excitation circuit, which have been issued by the US Patent Office. This was originally filed in the Northern District of Illinois and was transferred to the Southern District of Indiana in July of 2010. Indiana Intellectual Property Law and News blogged about the case here: O’Neill Sues Roche Diagnostics for False Patent Marking. In June, Judge Pratt granted Roche’s motion to dismiss. Judge Pratt found that the complaint failed to allege patent false marking as a matter of law. The court found that the plaintiff failed to allege intent to deceive, which must be specifically plead and supported by factual allegations. The Court found the allegations of deceptive intent were similar to those in the Federal Circuit Court recent opinion, In re BPLubricants USA Inc., – F.3d -, 2011 WL 873147 (Fed. Cir. March 15, 2011) which had failed as a matter of law in that case. Therefore, the Court dismissed the case with prejudice. The plaintiffs have filed an appeal. In addition, Roche had requested an award of costs of defending the action. In August, Judge Pratt awarded Roche $10,040.09 in costs. The plaintiffs have filed challenges to this award in the district court, and Magistrate Baker is currently reviewing this award. Practice Tip: This appeal may present one of the first opportunities for the Federal Circuit Court of Appeals to invoke the patent reform legislation that was passed and signed earlier this year. The new law is expected to result in the immediate dismissal of most patent false marking cases. Washington, D.C. – The America Invents Act, also called the Leahy-Smith Patent Reform Act, was passed by the U.S. Senate last week. The bill was sent to President Obama’s desk, ready for his signature before it can become law. The President is expected to sign the bill. 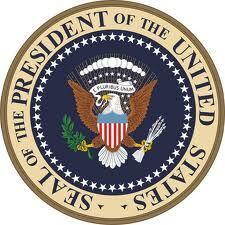 President Obama repeatedly has mentioned the patent reform legislation in recent speeches on the economy. The America Invents Act has been touted as a job creating bill and as an economic stimulus. Proponents argue that the reforms will streamline the patent process and allow companies to more quickly realize profits from technology and thereby employ more workers. Senator Leahy, one of the bill’s sponsors, also commented that the reform will improve the quality of patents. He told the New York Times, “For years, low-quality patents have been a drain on our patent system, and in turn our economy, by undermining the value of what it means to hold a patent. Higher-quality patents will infuse greater certainty into the patent system, which will better incentivize investment in American businesses, create jobs and grow our economy.” These claims, however, are complicated and controversial among intellectual property attorney experts on patent policy. The biggest change brought on by the reform will give patent protection to the “first to file” for the patent, rather than the “first to invent” under the current system. Indiana Intellectual Property Law News blogged on the specifics of the legislation last month. Evansville IN – Patent lawyers for GHJ Holdings of Texarkana, Texas filed a patent infringement suit in the Eastern District of Texas alleging Indian Industries, Inc. d/b/a Escalade Sports of Evansville, Indiana falsely marked products with expired and inapplicable patent no. 5,899,824, SNAP-FIT DART AND ADAPTER, 5,498,004, GAME DART, 5,271,625, FLEXIBLE POINT DART, 5,067,728, LAWN DART WITH SAFETY FEATURE, D425,943, and D425,572,FINS FOR A GAME DART, and D446,275 TONGUE AND GROOVE WOOD COVERED OUTDOOR POOL TABLE which have been issued by the US Patent Office. The case was transferred to the Southern District of Indiana on August 24, 2011 upon motion of Indian Industries. The complaint alleges that packaging of Indian Industries product Accudart® Flight Savers states the product is protected by numerous patents, however, the patents listed on the packaging cover completely different types of products. 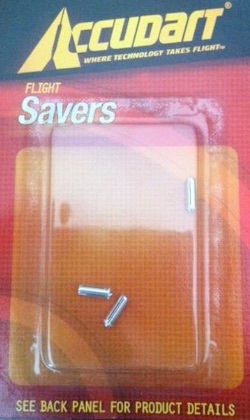 The Flight Savers are an attachment to the back end of a dart. The patents listed on its packaging, however, cover a dart shaft and fin designs. The complaint alleges the packaging of Indian Industries product Mizerak™ Deluxe Chalk Cue and various other billiard equipment products are falsely marked with a patent ‘275, which covers a billiards table cover. The complaint seeks civil monetary fines, damages, costs, attorney fees and an injunction. (b) . . . Any person may sue for the penalty, in which event one-half shall go to the person suing and the other to the use of the United States. (emphasis added). In this case, before it was transferred to the Southern District of Indiana, the United States Attorney had filed an unopposed motion to intervene. Indianapolis, Indiana – Patent lawyers for Forecast Sales, a division of McCoy Investments, Inc. of Indianapolis, IN, filed a lawsuit alleging Axxiom Manufacturing, Inc. of Fresno, TX, has engaged in false patent marking, in violation of Section 292 of the Patent Act. In particular, the “relator” (a legal term for the party suing on behalf of the United States government) Forecast Sales sells aftermarket parts for Axxiom products and alleges that Axxiom has wrongfully been marking products with the following expired patents, all of which were issued by the U.S. Patent Office: Patent No. 3,476,440, titled PORTABLE ABRASIVE CONTAINER AND DISPENSER UNIT; Patent No. 4,322,058, titled PIPE SIDE VALVE; Patent No. 4,339,897, titled SANDBLASTING METHODS AND APPARATUS; and Patent No. 4,339,887, titled DECOY, MOLD AND METHOD OF CONSTRUCTION. Indianapolis, Indiana – In a case which was originally brought in federal court in Chicago, patent lawyers for David O’Neill of Clarendon Hills, IL, have filed a lawsuit alleging that Roche Diagnostics Corporation of Indianapolis has been falsely, and intentionally, marking certain of its ACCU-CHEK(R) blood glucose monitoring products as protected by the following expired patents, all of which were issued by the U.S. Patent Office: Patent No. 4,891,319, titled PROTECTION OF PROTEINS AND THE LIKE; Patent No. 4,924,879, titled BLOOD LANCET DEVICE; and Patent No. 4,999,582, titled BIOSENSOR ELECTRODE EXCITATION CIRCUIT. This type of case, in which an individual acts as a “private attorney general” and brings a lawsuit in the name of the government, is formally called a qui tam action. In his complaint, the plaintiff here makes the customary request that monetary damages be awarded in an amount up to $500 for each offense, with one-half going to the United States government and the other going to him as the party bringing this action.